Southern Utah is a winter sports enthusiasts dream come true. Snowboarding, skiing, and snowmobiling opportunities are around every corner, beckoning you to go out and explore all of the breathtaking landscapes that cover one of the most unique regions in the country. With so many great snowboard rentals in Brian Head, there’s no need to worry about finding quality equipment for all skill levels and ages. Those Brian Head Resort slopes are waiting for you, so get ahead there and tear them up on your Southern Utah adventure. If you need more inspiration for activities, sights, and attractions in the area, consult our free Vacation Guide! It has everything you need to know about Brian Head, Southern Utah’s National Parks, and plenty of other need-to-know information for your trip! Get the latest and most cutting-edge Brian Head snowboard rentals from Georg’s Ski Shop. They offer three great packages, including the Basic Package, which is excellent for beginners. If you have a little more experience and want to buy a board, get the Demo Package. It allows you to try as many kinds of boards as you want in preparation for a purchase. Brianhead Sports offers a range of Brian Head snowboard rentals. They provide just the boards themselves, as well as packages. Even better, each day after the first day of the rental period, you’ll receive $2 off the list price. If you decide you like to sport, they also have boards for purchase. Get your gear for the day at the resort’s official rental shop. They have a full menu of packages and a la carte rental options available. If you plan to bring your family several times during the season, they also have seasonal rentals for your convenience. In addition to Brian Head snowboard rentals, you can get your skis there as well. Utah accommodations feature everything from cozy condos to large family vacation homes that are perfect for a winter vacation adventure! We offer locations in Brian Head, Panguitch Lake, and Duck Creek Village, giving you access to a variety of outdoor activities and fantastic state and national parks. Our Freestyle vacation rental is just steps from Brian Head Resort and the ski slopes! This condo loft gives guests the ability to walk to the ski lifts in addition to snowmobiling and biking from the property. It has two bedrooms and two bathrooms that comfortably sleep seven people. The rental includes one King bed, two full beds, a twin bed, a game room, free WiFi, and a Jacuzzi tub on the deck. Freestyle is your key to a great family vacation! 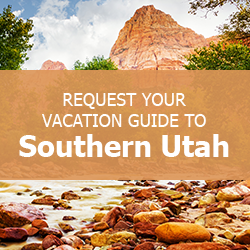 Need any more info about planning your trip to Southern Utah? Don’t forget to get your free Vacation Guide and check our availability!